This would have been a joke. Here's something that shouldn't be a shocker to any logical thinker: controversial CKE Restaurants CEO Andy Puzder withdrew his nomination as President Trump's choice for Secretary of Labor on Wednesday. The news was first reported by TIME. Puzder reportedly voiced second thoughts about taking on the role amid a relentless barrage of attacks from Democrats, labor unions and other liberal groups. The latest series of attacks came amid allegations he abused his ex-wife and knowingly hired an illegal immigrant (both of which he denied). "From the very start of the nomination process, it was clear that fast-food CEO Andrew Puzder was unfit to lead the U.S. Department of Labor," said Christine Owens, Executive Director of the advocacy group National Employment Law Project via email. "Thanks to fierce opposition from a diverse group of Americans, including people deeply concerned about the treatment of workers and of women, enough senators came to the same realization, forcing Mr. Puzder's withdrawal from the nomination," Owens added. To be sure, Puzder's resume alone sitting atop Carl's Jr. and Hardee's from day one made him an odd choice by Trump. The argument could be made that Puzder is completely out of tune with the causes behind frequent protests by workers outside of fast-food restaurants for $15 an hour wages and more generous health benefits. As a result, he was a poor fit to serve as the guiding force behind improving the quality of life for working individuals in the U.S.
Puzder started his career as a lawyer in St. Louis and helped the founder of burger joint Carl's Jr. avoid bankruptcy. He relocated to California where he became the general counsel for CKE Restaurants. In 2000, he was appointed CEO. 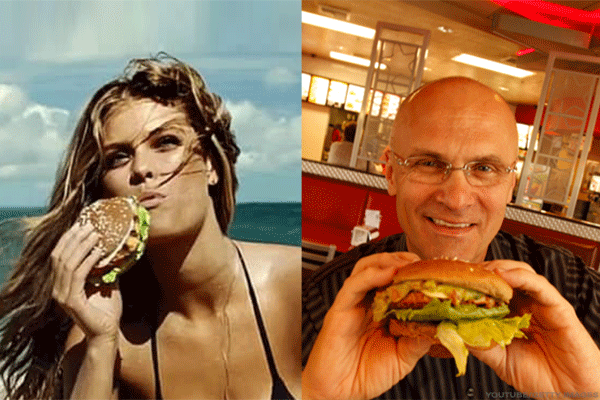 While he is credited with saving Hardee's and Carl's Jr. (saving countless jobs in the process) by using racy ads with females to sell hamburgers, he also been an outspoken critic on some of the restaurant industry's most hot-button topics that have arisen in recent years amid a groundswell of discontent from hourly workers. "If your concern is creating entry-level jobs for young Americans, then a $15 minimum wage is something you should be protesting against," Puzder told Fox Business in a November 2015 interview on the 'Fight for $15' movement. "If your objective is to bolster and support the unions, and you're not all that concerned about whether young people will have entry-level jobs, then you should be protesting in favor of a $15 minimum wage," he added. On the topic of President Obama's overtime rule which went into effect on December 1, Puzder pulls no punches. The law requires employers to pay overtime to salaried workers earning less than $47,500 a year, double the prior threshold of $23,660. I am looking forward to my hearing. "For most businesses it will be just another added regulatory cost they must look to offset. For their employees, it will be another barrier to the middle class rather than a springboard," Puzder wrote in an op-ed for Forbes in May. "One can only wonder when the advocates of progressive economics will realize that, despite their best efforts, you cannot regulate your way to economic prosperity." He has also supported increased automation -- such as touchscreen ordering kiosks -- in the restaurant business, which may ultimately lead to employing fewer people. Meanwhile, the Labor Department uncovered that about 40% of Hardee's and Carl's Jr. locations had wage violations from January 2009 to August 2016, according to a recent Bloomberg BNA analysis. Here's to hoping Trump picks a better candidate.